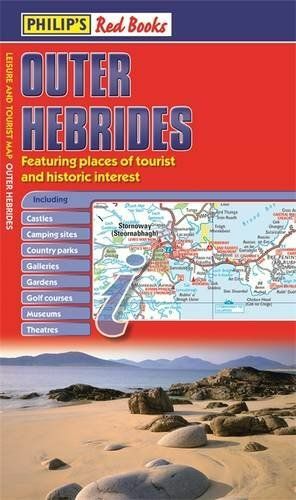 This leisure and tourist map of the Outer Hebrides gives detailed coverage of the area's road network at a scale of 3.16 miles to 1 inch. The map shows places of tourist and historic interest, including castles, camping sites, country parks, galleries, gardens, golf courses, marinas, museums, nature trails, historic sites, sports venues, theatres, theme parks, wildlife parks and zoos. An index to principal places of interest is also featured. In a convenient folded format, this single-sided sheet map is ideally suited for both leisure and business use, either by locals or visitors.